Boston Children’s Hospital said “we whole-heartedly support the research’’ that it’s participating in on juvenile asthma. Doctors at Boston Children’s Hospital and in four other US cities are facing criticism over the ethics of a study exploring whether vitamin D prevents dangerous asthma attacks in children, because only half of the 400 participants are receiving the potential treatment. Dr. Bruce Davidson, who works as a critical care medicine physician at various hospitals in the Seattle area, has complained to the National Heart, Lung, and Blood Institute that the vitamin D study puts young children at risk. All participants, who are being recruited in emergency rooms and doctors’ offices, have serious asthma and low levels of vitamin D.
Half of the participants in the federally funded randomized trial are getting high doses of the vitamin, but half will not get any vitamin D supplements. They will get a placebo — a dummy pill. In a letter to the federal agency in August, Davidson said two recently published studies determined that giving a placebo to children who have too little of the vitamin is unethical. The American Academy of Pediatrics recommends that all children get at least 400 international units of vitamin D a day. While many children get enough of the vitamin from fortified milk, certain foods, and sunshine, some do not. Davidson asked the agency to require significant changes or stop the study. “There are a lot of established protections for research subjects, but there is also a great deal of pushing at the boundaries,’’ Davidson said in an interview. Physicians conducting the clinical trial defend it as safe — and vitally important. The study — which also includes hospitals in Cleveland, Pittsburgh, St. Louis, and San Francisco — seeks to definitively answer a question crucial to the health of millions of youngsters. If proven effective once and for all, they say, vitamin D supplements could be a simple and inexpensive way to prevent asthma attacks, which send hundreds of children to the hospital each year and kill dozens. The study is also trying to pinpoint whether the specific dose being tested is helpful. Placebo-controlled trials have long been considered a good way to determine whether a new treatment works, but they are controversial. Some watchdog groups object to these types of studies when there is already a standard effective treatment for a serious illness that is not given to participants. In the asthma study, Davidson said, it is already known that vitamin D is beneficial to children to help bone development. About six million children in the United States — one in 12 — have asthma. Black children have higher rates of the disease than white children, 16 percent compared to 7 percent. Blacks are also more likely to die from asthma. Davidson, who also is an associate editor for the journal CHEST, said the study especially harms minority youngsters, as they account for more than half of the participants. 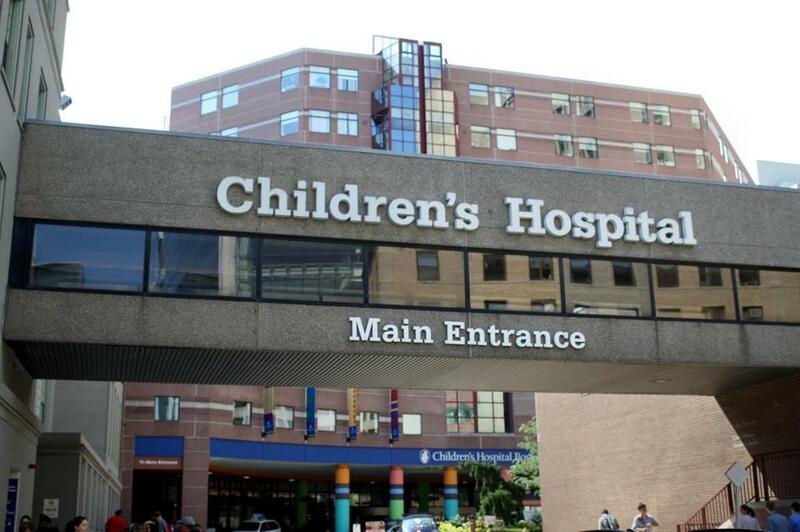 Dr. Juan Celedon, chief of pulmonology, allergy, and immunology at Children’s Hospital of Pittsburgh and the lead investigator, declined to be interviewed, but e-mailed written responses to the Globe’s questions. He said most children with low levels of vitamin D have no symptoms and do not suffer any health consequences. Most do not even realize they are deficient, because pediatricians do not routinely test vitamin D levels. Researchers are aggressively monitoring children in the study to catch those whose levels dip low enough that they are in danger of developing rickets, a bone disease caused by vitamin D deficiency. Those youngsters will be removed from the trial so they can be treated with supplements. Dr. James Kiley, director of the Division of Lung Diseases at the National Heart, Lung, and Blood Institute, said the study has been extensively reviewed and determined to be safe by experts at the individual hospitals and the National Institutes of Health, which is providing $3.4 million in funding for the research. Pharmavite, a large California vitamin maker that includes the brand Nature Made, has donated the vitamin D and the placebo pills for the study. After the complaint from Davidson, who has conducted similar research in Qatar, the agency brought in additional reviewers and the protocol was improved, Kiley said. Those changes included the added protections for children whose vitamin D levels dip very low and a revision of the consent form parents are asked to sign. Davidson said that giving patients in the control group a placebo, rather than an accepted treatment, can be attractive to drug companies and researchers because it’s easier to show a dramatic effect of the drug being tested. He also objected to the high dose, 4,000 IU, that’s being given to children in the study, since it’s above the recommended limit for young children. Celedon said other studies that monitored patients for vitamin D toxicity have shown much higher doses than 4,000 IU are safe. Three experts in research ethics contacted by the Globe indicated that the asthma study falls into a gray area. Because of the evolving science on vitamin D, there is debate over exactly when low levels are harmful and when supplements should be given. George Annas, director of the Center for Health Law, Ethics & Human Rights at Boston University, said that in his view the most important issue is informed consent. He questions whether parents are being taken advantage of. The University of Pittsburgh and Boston Children’s Hospital declined to release the consent forms. But parents might see advantages to enrolling their child in a trial that sets out to clearly answer a vital medical question. Seema Shah, a professor specializing in pediatric research ethics at the University of Washington, said parents often sign onto studies to help others, but only if the risk to their own child is minimal. Children also can benefit from the extra monitoring provided in clinical trials, which they would not receive in their regular doctors’ offices. “It’s a chance to contribute to something important,’’ Shah said. Correction: An earlier version of this story misstated Dr. Bruce Davidson’s affiliation. He left the University of Washington in Seattle last June.